You see, in 20 days I’m moving my [very Wisconsin based] family to Puerto Rico. Yep Puerto Rico. We’ve been on a roller coaster of purging, selling, donating, digitizing, and prepping our toddlers to move to the Caribbean. 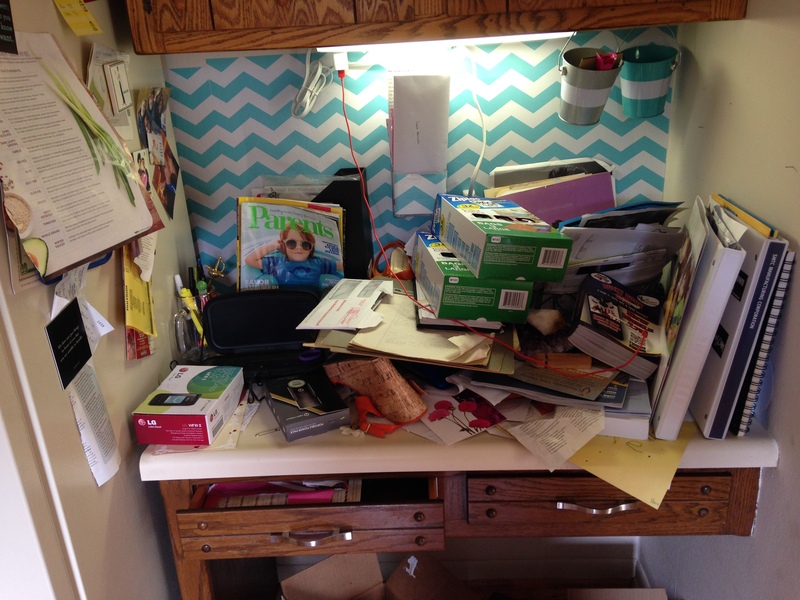 How come when you set out to organize your house it seems to turn into a disaster zone? 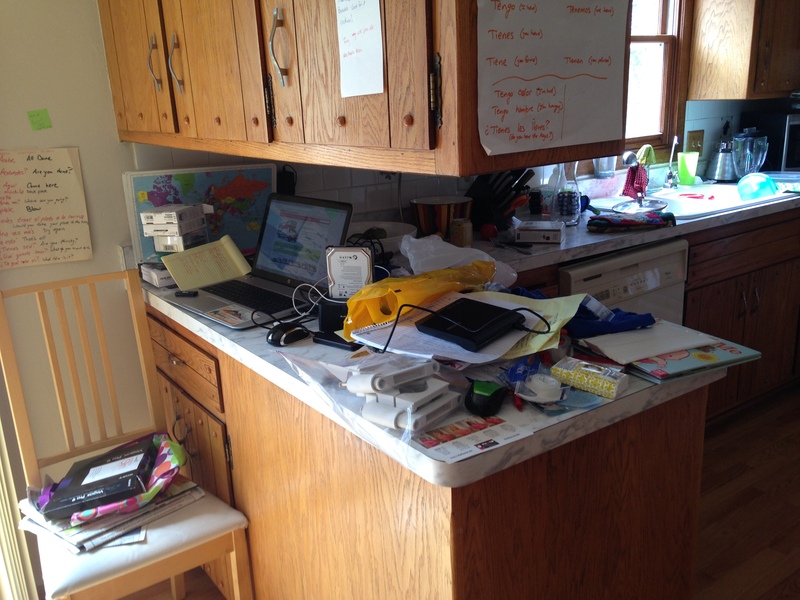 I look at this counter and think: Where do I begin? Where do I begin on this desk? And so, where do I begin on this blog? Well, right where I am. Crazy, tense, excited, selling my kids belongings out from under them, trying to brush off my Spanish, and hanging on for the adventure. This blog will chronicle my family’s adventure’s and observations on this huge transition. Also, my good friend Lisa will be contributing as well. She’s moving from Madison north to Montreal right about now too. Sure thought you would go with “Puerto Real” as in royal gate to our new worlds in Puerto Rico and Montreal! Playa Sucia awaits you!